Printed colour illustrated poster calling for economy in the household during the Second World War. Slogan reads 'Make a habit of taking only one hot bath a week in 5ins of water'. 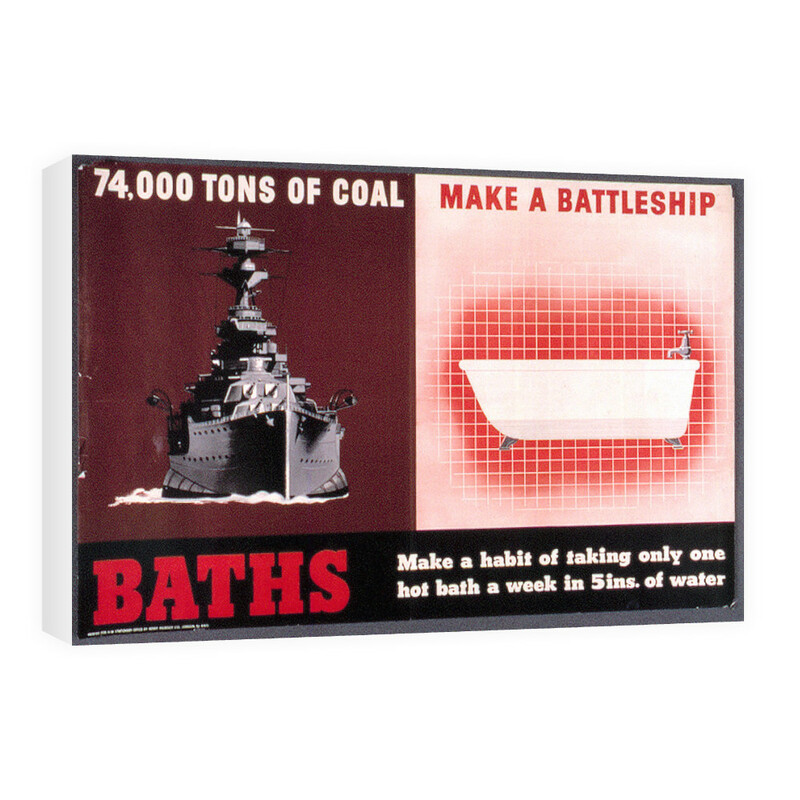 This 74,000 Tons of Coal Make a Battleship Canvas is created using state of the art, industry leading Digital printers. The result - a stunning reproduction at an affordable price.